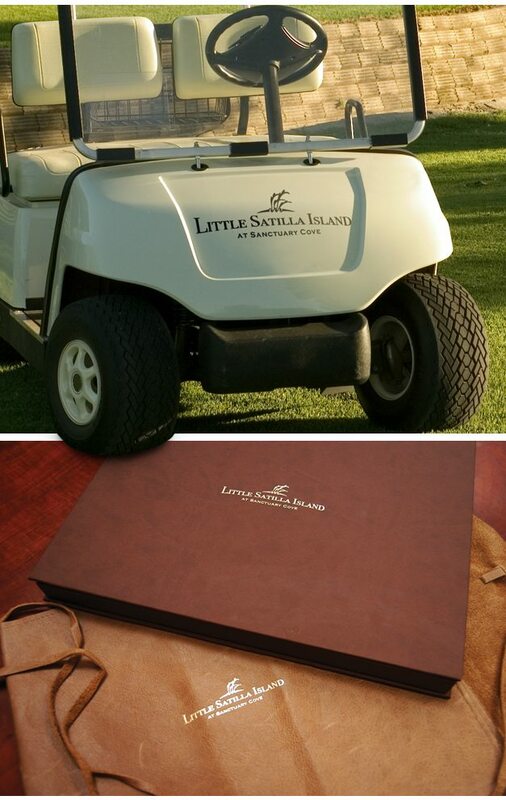 The premier, island access only, homesites at Little Satilla Island commanded a high end brand message. 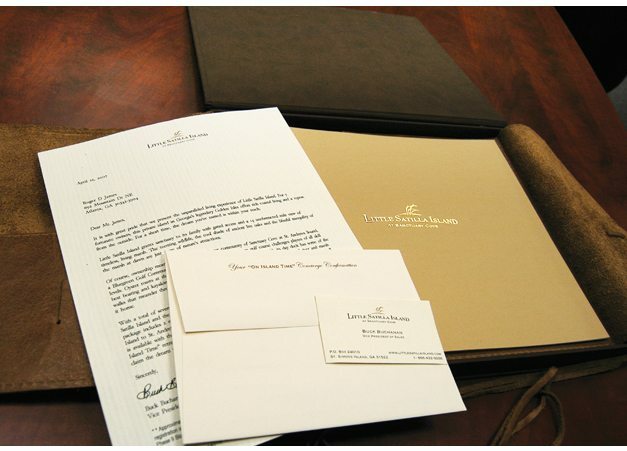 Logo development, content writing, print ads, outdoor displays and custom printed invites and property kits were developed by bighouse. 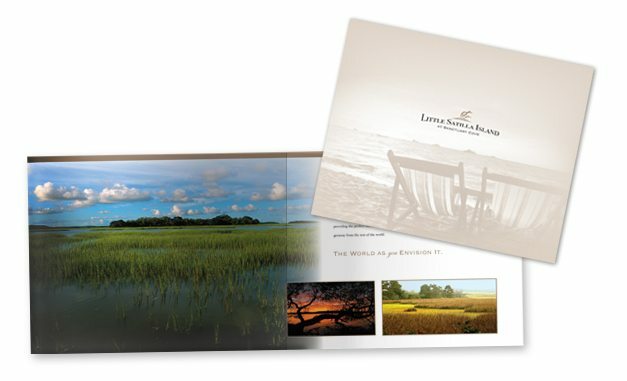 An italian leather bound box and brochure sleeve with gold foil embossing to include custom brochure and interactive CD.